When it comes to aged care, it’s probably fair to say cows don’t top the list of requirements. But a planned pilot facility in the Indian capital New Delhi is taking a novel approach to the sector, pairing some of the megacity’s thousands of stray cattle with senior citizens in a bid to improve wellbeing. “When a cow dries up, people leave her and she ends up in a gaushala [cow shelter],” Development Minister Gopal Rai told local media. Mr Rai said the “helpless elders” would take care of the cows and “lead their lives happily”. It’s not the first time animals have been used to combat loneliness within aged care. 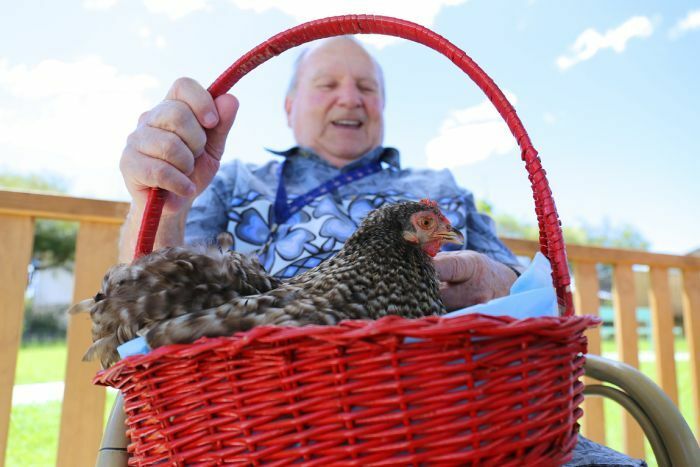 In Australia, elderly residents in the regional community of Casino are paired with chickens to improve wellbeing. The animal welfare policy, announced by the Hindu nationalist Bharatiya Janata Party (BJP), will see neglected cows housed in special hostels, as well as introducing birth control measures for monkeys and electronic chips for cows and pets. More than 12,000 stray cattle were recorded across Delhi — and more than 5 million nationwide — according to a 2012 livestock census. 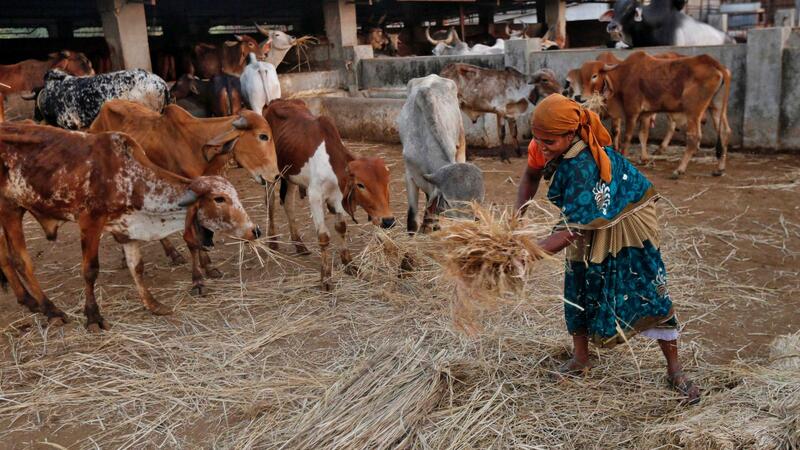 Cattle are considered a holy animal in India, and the slaughter and consumption of cows is banned in most states. The animal’s status has grown in significance since Prime Minister Narendra Modi’s BJP claimed power in 2014. “Cow politics” has been part of India’s political fabric since the 19th century, and sentiments run high at the mention of the cow by either Hindu and Muslim communities, according to the Australian National University’s South Asia Research Institute. 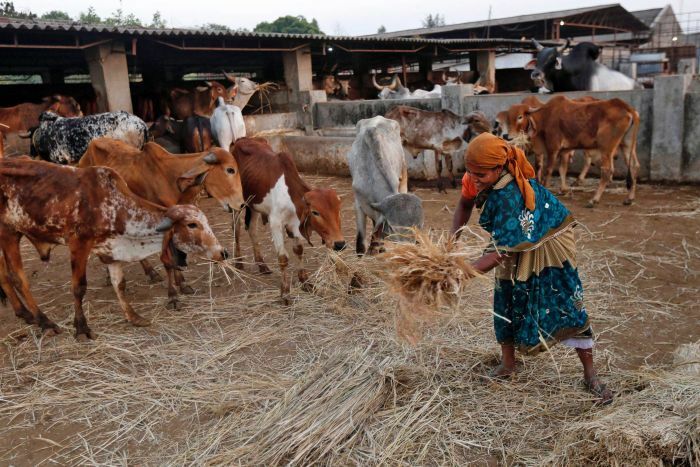 “The cow often becomes a pretext for pubic vigilantism by right-wing Hindu groups,” director Meera Ashar said. Some right-wing proponents have used the belief in the sacredness of cows to justify violent attacks on people suspected of killing bovines, manifesting in mob attacks against Muslims.